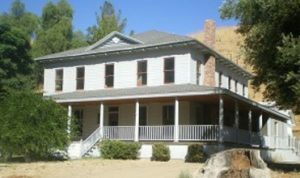 Historical 19th Century western structures give visitors an authentic look into the past of Southern California’s “black gold” boom town era in this pioneer oil town. Pico No. 4. Named for Charles Alexander Mentry, the oil well’s tenacious driller — and later superintendent of the company that would become Chevron — Mentryville was home to over 100 families until the early 1930’s. Pico Number Four went on to become the longest continually operating oil well in the world, closing in 1990. Historic buildings still stand in this pioneer oil town, including Charles Mentry’s grand thirteen-room mansion, a one-room school house, and a period barn. Mentryville and Pico Number Four are registered as California State Historical Landmarks. If you’re interested in American history, this is a must on your list of things to do in Southern California.